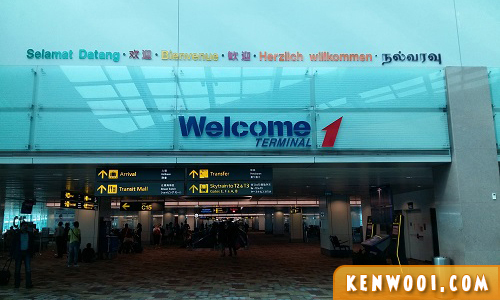 Singapore is a country that I frequently visit – well, because it’s one of the neighbouring places to Malaysia. 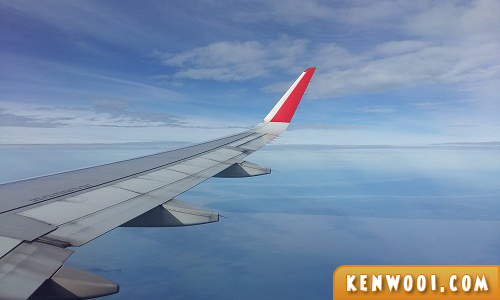 And on top of that, it’s always fun and hassle free during a trip to Singapore. On our recent outing to the Lion City, our main objective was to have a relaxed weekend. Compared to our previous trip where we watched the Singapore Formula 1 Grand Prix and had fixed schedules, our itinerary this time was pretty much free and easy. Anyway, let the weekend begin! 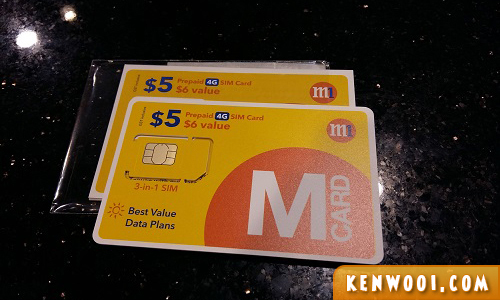 …to get ourselves local SIM Cards… to, well, get online so that we can make our friends and family members super jealous that they’re not in Singapore with us. 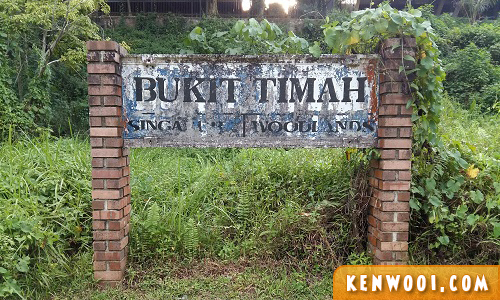 Anyway, one of the places we strolled around was the famous Bukit Timah Railway Station and Bridge. It’s a steel truss bridge that stretches across Bukit Timah Road. Certain railway tracks that were used before the KTM train services were discontinued remain there. 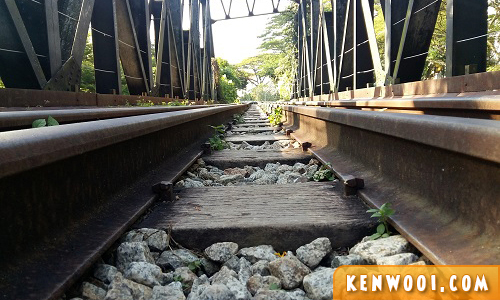 Even though the railway tracks are no longer used, it’s still a sentimental reminiscence of Singapore’s railway heritage. Today, the railway tracks are well-known as a great spot for photography. You’ll see people (especially tourists, I’m sure) roaming around the tracks and posing for various shots. 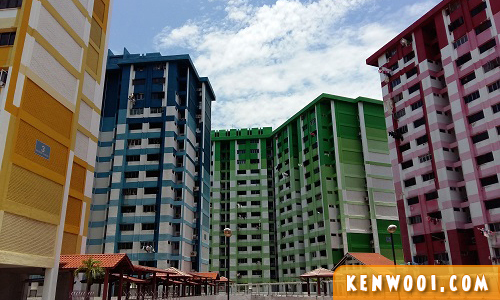 Another destination for sightseeing was the Rochor Centre. It’s a group of buildings at Rochor Road that was built and completed in 1977 to house Singapore’s increasing population. Located at the business district of Bugis, Rochor Centre has an interesting impression of urban landscape due to its colorful facade. Each block is painted in different bright colours with gradient effect. We were lucky to be able to access the vicinity then as I believe the entire building is now barricaded from the public to make way for demolition works. Besides structural views, we also took the opportunity to visit one of the parks in Singapore. 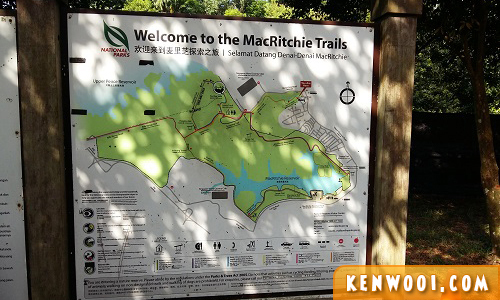 We woke up pretty early on Sunday and left for MacRitchie Park after a quick breakfast nearby. We did our homework and booked one of the Singapore Hotels on Traveloka that is fairly near to the park. The whole hiking distance was 7km and we completed wandering in the nature in about 1 hour and 40 minutes. 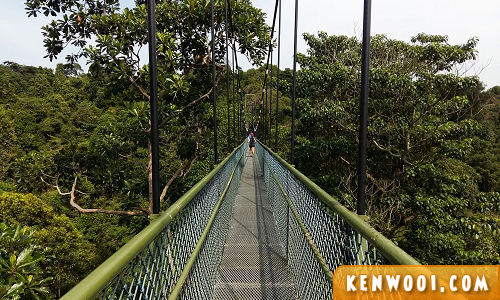 The key highlight of the trail was the aerial free standing suspension bridge, the TreeTop Walk. Anyway, besides sightseeing, we’ve been to a few food places recommended by Singaporean acquaintances online. It’s always ideal to know the local’s preferences so that we can be like one. 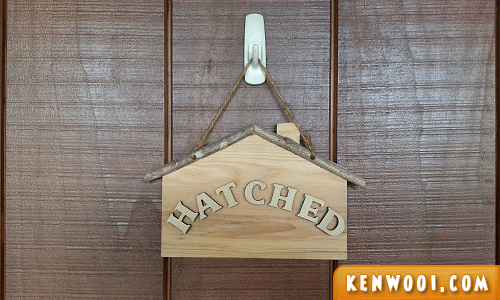 So… we were at Hatched! 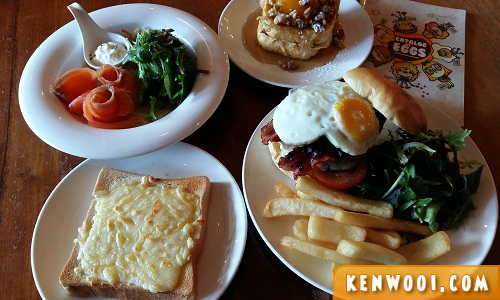 It’s located along Holland Ave and it’s one of the recommended cafes for egg lovers – like me! They even have a menu labeled “Catalog of Eggs”. Eggs galore! If you know me well, you would’ve known that I usually couple eggs with something western. After all, I’m an English man stuck in an Asian body eh? It was definitely a hearty meal to kickstart the day in Singapore. 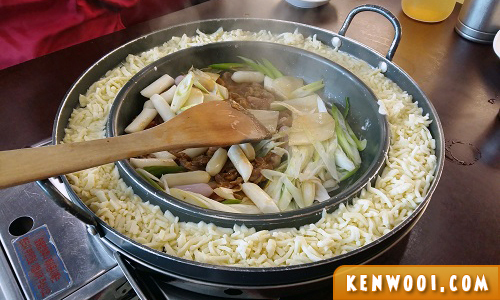 Besides that, we also visited Yoogane at Bugis Junction for another meal – a cheesy one! We ordered the Cheese Chicken Galbi – Yoogane’s unique spicy sauce marinated with tender chicken meat and fresh vegetables, surrounded by a layer of melted cheese for that extra oomph! Mixing spicy food with cheese was something new to me. It was definitely a unique flavour, and I’d give it another try if it wasn’t that costly – about SGD60 (RM190!!). Well, THAT is costly! 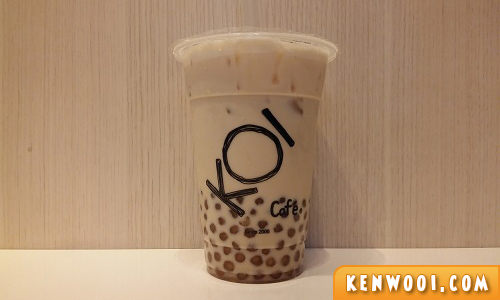 Anyway, to cool down the spiciness, KOI Café is apparently a go-to place in Singapore for the famous bubble tea. In fact, we had KOI bubble tea a couple of times (maybe twice) when were in Singapore. You know, to quench our thirst since it’s a hot and humid country – similar to Malaysia. So there you go, a superbly chilled weekend at Singapore which I wish to have again sometime soon. 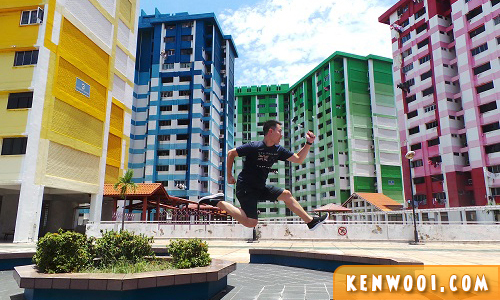 Well, maybe fewer jump shots because from my Instagram account (@kenwooi – follow yeah! ), it looks like I went to Singapore… just to jump around. Oh i just went to singapore too! Last sunday. But to visit relatives. Berhari raya! Hihi. All of the places u mentioned.. i never got the chance to go yet. Perhaps next time i can refer to this post when i plan to jalan² over there. Tq!